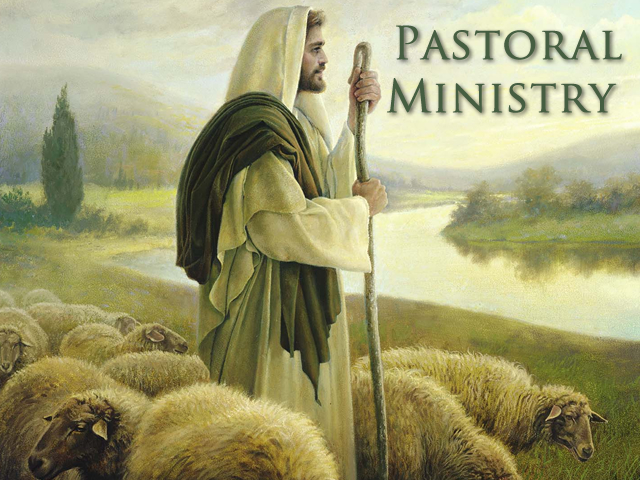 Pastoral care derives its name and nature from the meaning of shepherd and refers to the ministry of the Pastor and other staff members responsible for serving in supportive and caring ways to the spiritual needs of parishioners. We at St. John's realize that the spiritual welfare of our parishioners extends beyond the weekend Mass, and it is our desire that all parishioners feel part of our spiritual family and are cared for. Pastoral Care includes hospital visitation, anointing of the sick, communion calls to the homebound as well as those hospitalized, providing support to families who have suffered a loss, counseling, ministering to those in nursing homes, and attending to various needs. If you are hospitalized, if you are homebound, or if you are unable to attend Mass due to illness or infirmity, please call the Parish Office, 585-225-8980, to let us know of your pastoral care needs so that we can minister to you or your loved one. Please note that due to Federal regulations (HIPPA) protecting the privacy and confidentiality of patients, hospitals cannot release patient information to our parish. It is very important for a family member to call the parish office to let us know the name of the patient and what hospital or facility the parishioner is in. If you or a family member or friend wishes a pastoral visit from our pastoral care team please call the Parish Office with your request.